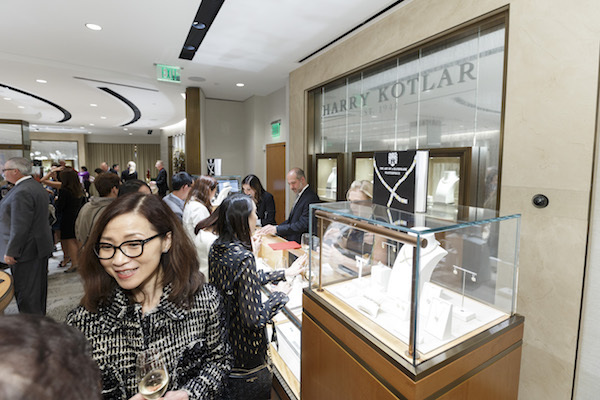 San Francisco, CA—Harry Kotlar’s life story has all the elements of a classic movie: it begins with the Kotlars leaving a war-torn Poland, and ends with them settling in Los Angeles and founding a renowned fine jewelry design house. 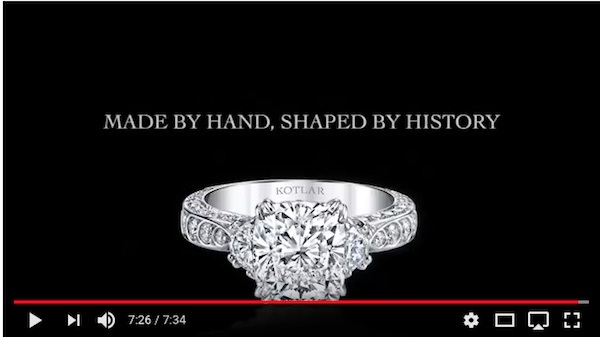 The film turns back time by showing the closely-guarded techniques of Harry Kotlar artisans. Only four artisans touch a piece during its creation: a forger, a carver/setter, a polisher, and a quality control expert. The result of all these work and immersion is a film that Cabrera describes as reminiscent of a Rembrandt painting with its dreamy and amber-kissed palette. 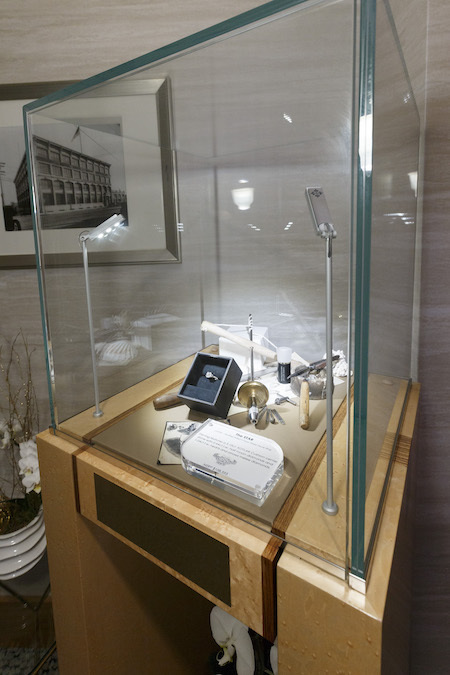 Luxury jeweler Shreve & Co. in San Francisco co-hosted the film’s premiere on December 5. 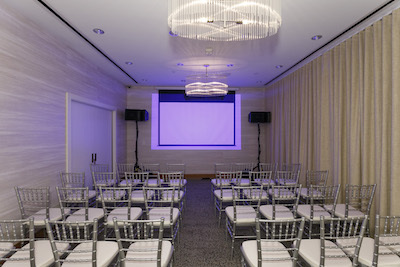 The jeweler’s event space was transformed into a screening/exhibit room where guests watched the film, as well as viewed photos that revealed the intricacies of crafting a Harry Kotlar piece. 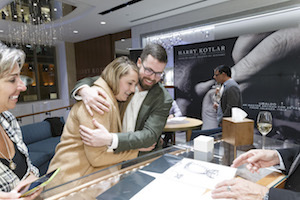 As an added surprise experience, guests were also able to sit down and create their personalized Harry Kotlar pieces with Kotlar’s illustrator onsite. 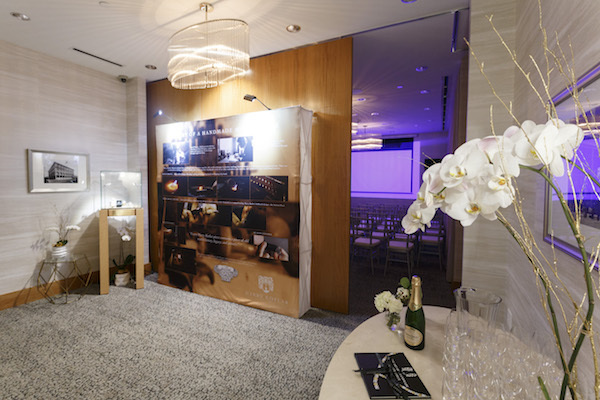 Shreve's screening room, above, and a showcase of special tools used to create Harry Kotlar jewelry, below. 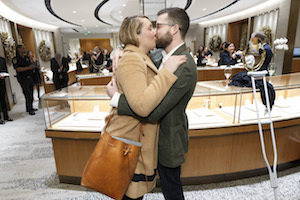 A very special experience: a couple gets engaged during the event! 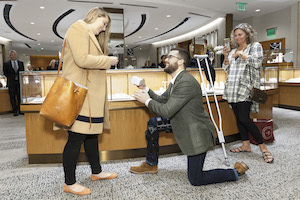 Clockwise from top left: the proposal (note groom's bum knee and crutch! ); she says 'yes! 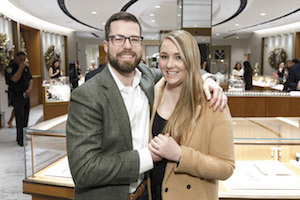 '; the newly-engaged couple; the happy couple learn about the creation of their ring. Click here or on the image below to watch the film.